dhtmlxGrid supports the most powerful features necessary for Ajax-based spreadsheets, such as merged cells, split mode, the ability to move grid columns (with drag-and-drop or script methods) and copy data to a clipboard (in CSV format). Since version 5.1, dhtmlxGrid supports TypeScript, so you can use type checking, and as a result you'll have a stable code. What is more, you'll get suggestions and code completion by moders IDEs. Find out more details in our docs. All JS Grid features are accompanied by an online sample. 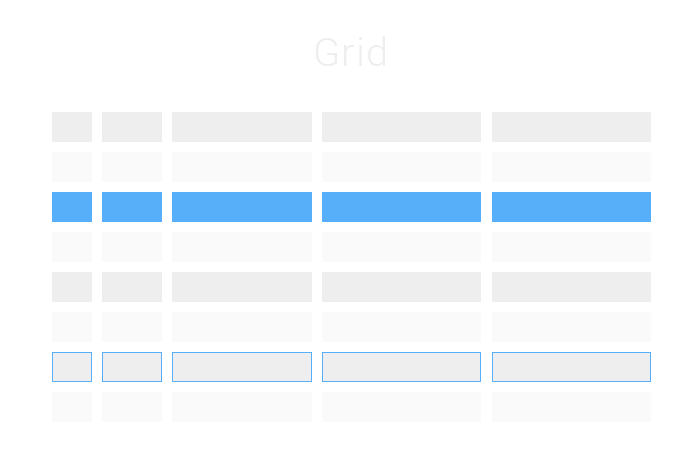 Explore the functionality of the grid component and check its code. Our detailed documentation can learn how to use Grid and effectively implement it in your own applications. It provides the detailed information regarding each aspect of the widget.